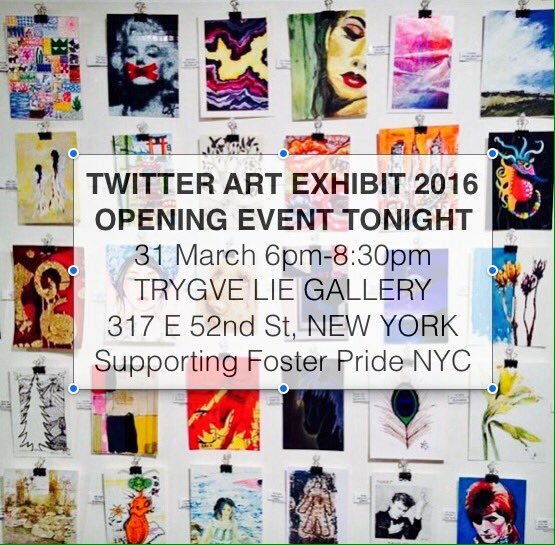 The Twitter Art Exhibit has opened in New York City at the Trygve Lie Gallery. All proceeds support Foster Pride NYC. Purchase an Original, One of a Kind Art Postcard from Artists around the WORLD and help kids - win/win! My original painting is the donuts in the photo below. 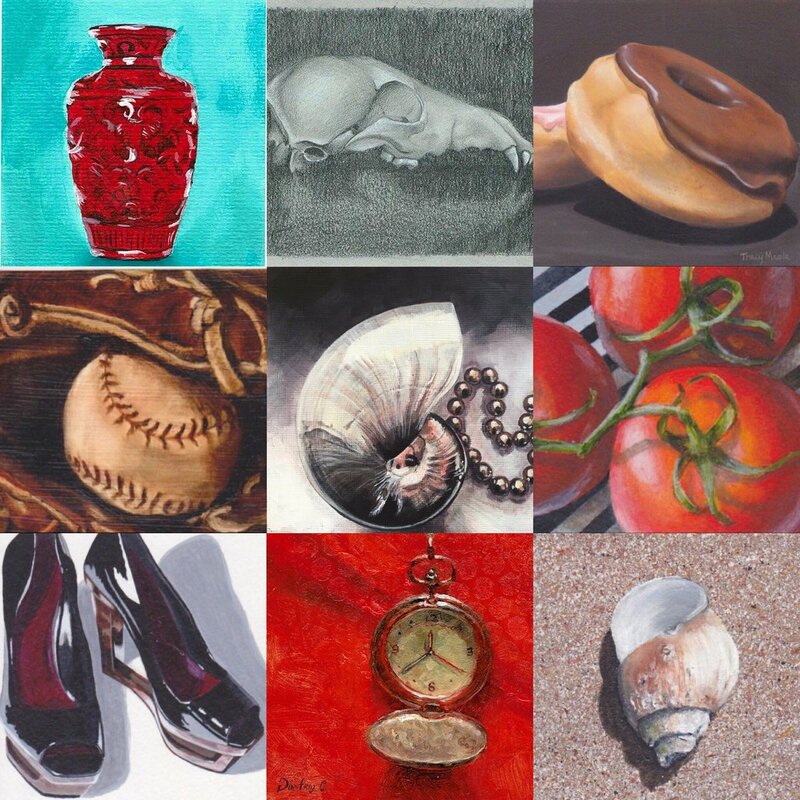 Here is something really amazing....with artists from all around the world, and the organizers of the Twitterartexhibit choosing random artwork for these samplings, the painting under mine, the tomatoes, is by Debbie Shirley, another New England artist from the Newburyport Art Association! Ha! What a funny coincidence! Great to see other New Englanders participating in the exhibit. Love the donuts!